Some folks love video games so much, they find ways to play despite prohibitive disabilities. 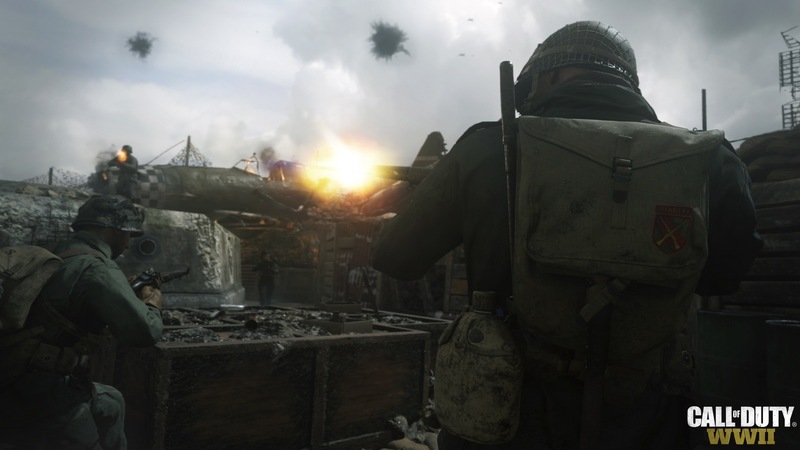 One such gamer took to Reddit last week to boast about scoring more than 7,500 lifetime kills in the first-person shooter Call of Duty: WWII -- entirely without eyesight. He goes by the handle 'tj_the_blind_gamer' and uploads gameplay to his YouTube channel, which he created after discovering there weren't any other sightless Call of Duty streamers. He plays for his own enjoyment -- but streams it to show the world that blind gamers are out there, racking up kills. "It's just simply more fun for me, to know that I have the skill to play a game most people consider to be a visual game and still be able to enjoy that experience with friends," TJ, who preferred to keep his identity private, told Engadget. TJ was born with poor vision due to a condition called retinopathy of prematurity, losing sight in his left eye at 5 years old and in his right at 14. All the while, he played the Call of Duty series even as his vision deteriorated, and was on Call of Duty: Ghosts when an accident completely took his eyesight. A year=and-a-half later, he taught himself how to play video games all over again. So how does one play video games while completely blind, especially a frantic shooter like CoD: WWII? Mostly by hearing footsteps. TJ tracks enemy players by sound alone, using surround-sound headphones, dialing down the background music and choosing in-game perks that enhance audio feedback. He navigates maps similar to how a bat or dolphin might, but instead of sending out high-frequency pings to understand the environment, TJ shoots ahead and listens (items, walls and the ground all have different sounds when shot). "The closer you get the more distinct the sound becomes, resulting in being able to identify when they are behind a wall or out of your characters conceivable site," he said in a Reddit comment. "I can identify when I go behind a wall and an enemy is within a clear line of sight enough to not shoot through a wall. This also translates to footsteps and gunshots, I have enough experience and practice to even put that skill into long-range combat." He plays and records gameplay on the PS4, using text-to-speech accessibility settings to navigate through menus. When he wants to hear his CoD: WWII stats, he asks Alexa's dedicated Call of Duty app. While he streams, a screen reader on his phone announces chat from the audience. It's not a perfect system. Hitting enemies at a distance is often too difficult to secure kills, TJ noted on Reddit. There are other challenges, too. An update reduced footstep noise, and his kills per game noticeably lowered. 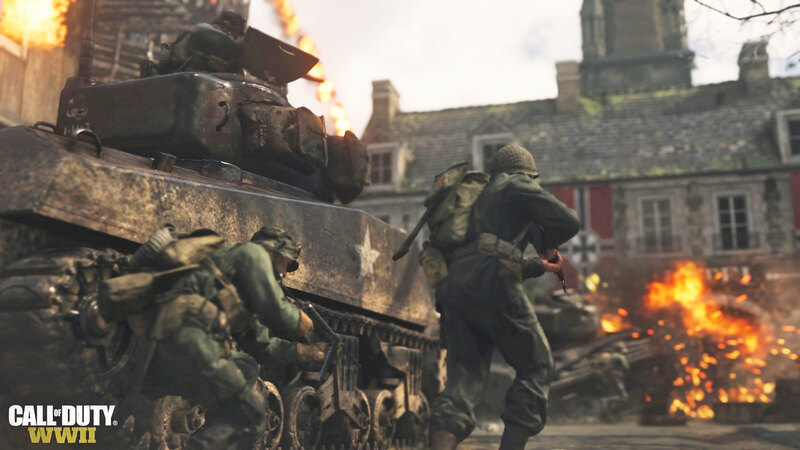 In lieu of a menu interface, CoD: WWII has a between-mission "headquarters" where players walk around talking to certain characters to access different modes, and TJ had to ask his livestream audience for directions. Some of the feedback TJ gets is clearly heard in the streams, like triumphant pings when he gets kills and his character's screams when he dies himself, as well as each gun's signature sound. There are still things that TJ can't possibly know during games because they only have visual cues. Incoming grenades get a directional indicator on-screen, while leftover weapons on the ground get a pop-up visual notification. For someone like TJ, whose playstyle depends solely on sound, these obstacles seem far more lethal than to the average player. It is, of course, a design challenge -- relegating mundane alerts to visual-only to avoid overwhelming players -- but it's regrettable that TJ gets taken out by errant explosives that sighted players dodge more easily. TJ made the Reddit post to call attention to blind gamers: "I do my best to show everybody that even though people with disabilities may not play video games as often as people without disabilities, we still do. Even though I cannot see, I still play just as good, sometimes better, than several of my subscribers who have sight," he wrote. His YouTube channel is similarly dedicated to raising awareness -- showing viewers what the rest of his life is like, with videos exploring parenting and correcting assumptions about living with blindness. He's also started releasing game guides, like for Call of Duty: WWII and Diablo 3, to help other visually-impaired or blind players get through games. Video games may include accessibility features, but they aren't uniformly supported among titles. Unfortunately, most blind people TJ has encountered don't want to try playing video games, even if those titles have specific settings that might help. He has a few suggestions to make games more appealing -- or at least less frustrating -- to those with visual impairment. In his opinion, more realistic audio engines with more detailed sounds would help, as would keeping menu navigation finite (not looping) so blind players know where it starts and ends. On a personal note, he'd love if video-editing software was compatible with screen readers (the technology that vocalizes text and descriptions of what's on-screen), which would conceivably help him cut and trim files before he puts them online. Currently, he can only record his PS4 play and upload the raw footage of gameplay, overlayed with his live commentary. And before you ask, no, TJ doesn't know of any surgical options to restore his sight -- but at this point, he wouldn't want his vision back. He's immensely proud of what he's done and how much he's capable of, and his YouTube channel is evidence of it. "All of these accomplishments have defined me, I do not want to stray away from what my channel is based around," he wrote. "Being blind and a gamer."